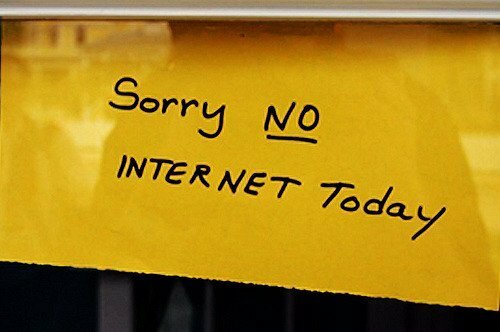 In an effort to curtail cheating on exams, Algeria has taken the insane step of shutting down the internet for the entire country. Seems entirely reasonable. Long ago when we were in school, exam time was preceded by a series of threats from the teacher, outlining all the bad things that would happen to us, if we chose to cheat. We usually conformed, but part of us wondered how much power they really wielded. Fortunately, our rebel teen selves didn’t live in Algeria, as educators have taken the insane step of shutting of the internet for the exam period. The whole internet for the entire country. For six days. It’s somewhat less insane, if one considers the context. You see, Algeria has a rather galling problem with cheats. Back in 2016, some 300,000 students had to retake exams after papers were leaked early on the web and circulated around social media. The steps to this moral cliff face have been noted, as attempts have been made to restrict access to social media platforms, but those measures didn’t really help – so, hence why the router was unplugged. Both cell networks and broadband are getting switched off during the allotted periods. Education Minister Nouria Benghabrit said the government wasn’t comfortable with the decision, but also added that “we should not passively stand in front of such a possible leak”, as reported by the BBC. As this tweet shows, some days have as much as three hours of downtime, which has gone down as poorly as you’d expect. “I have no idea why they need to be so aggressive,” Lyès Rekkeb, who works at a web design agency, told Jon Henley at the Guardian. Well, yeah. I mean, I’m not sure what’s stopping students who want to cheat from just doing so during the allowed window, but sure. As for the international implementation of the same plan, it could certainly happen here. We wouldn’t even have to do anything. Just let the NBN run normally.